Witchcraft has it origins in the heathen religions of our European ancestors. Traditional village wisecraft is the survival of fragmented pagan beliefs from the archaic period, but not the survival of an organized universal cult with a priesthood or even covens. (The term coven was an invention of the Inquisition to create the illusion of a powerful anti-Christian organization.) Pagan festivals and observances lingered and merged with those of the Christians. Many worshipped in hybrid forms of religion, following ancient customs and retaining the animistic aspects of the former faiths. For example, there are several folk prayers from Anglo-Saxon England and Scandinavia honoring both Mother Earth and the Christian God. The evidence suggests that during this transitional period, dual faith beliefs, practiced by the masses, co-existed peacefully with specialized individuals who were known as witches. Many modern Wiccans feel that their faith has its roots in a Celtic or even pre-Celtic religion, and this is not entirely untrue. The Celts left behind a plethora of superstitions, folklore, and magic, much of which has Roman influences. What needs to be remembered, though, is that the word witch is not a Gallic or Brythonic word. Linguistics reveals much in regard to our origins. The word witch is derived from the Anglo-Saxon term wicca, (pronounced witcha) meaning knowledge. 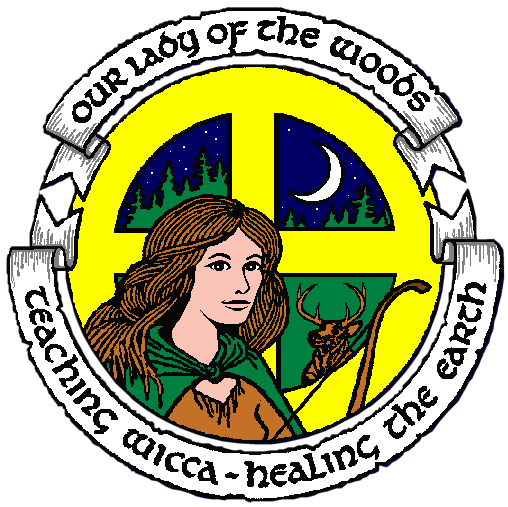 The female version of the term is wicce. To bewiccian meant to bewitch, a term that contains the idea of enchantment. The word enchant has its roots in the Old French chaunt and the Italian cantare. Both words mean to sing or chant, providing a connection between song and sorcery. There are many literary references to the Scandinavian Icelandic sagas with their song-like qualities. Nordic oracles, who sat on high platforms and prophesied to the community or to individual households, were sung into trance by a choir. Poetic incantations or charms are a type of spell used largely in oral societies including the Teutons and Celts. The Scandinavians had the last intact pagan religion in the British Isles, when they settled in England, Scotland, Ireland, and the northern islands. In Old English the word wita means wise man, and it is the forebear of the later terms cunningman or country wizard. Cunning comes from the Old Saxon word cunnan, which means to know. There is also a relationship to the Old Norse word kenna, from which the word kenning derives. A kenning is a particular type of poetic technique which employs analogies to refer to a common noun (i.e., wave rider = sailor). In summary, wisdom was communicated in the form of poetry. The Frisians (early Dutch), who raided and settled in parts of southern England during the Viking Age, still called their seeresses witta wijven in the 17th century in the province of Drenthe. The Germanic tongues of Frisian and English are comparable, and the resemblance is more than coincidence. The witta wijven were healers and weavers of spells, as well as being oracles. Witan in Old English means to know; the Saxon councils in early England were also called witan. Beowulf, a Christianized tale, states that their wise men sought counsel from omens. Were these counsels the Saxon court wizards? The word wizard comes from the Middle English word wysard, meaning wise man or male witch. Wisian is an Old English term that meant to incline or turn to your means, which is also the definition of wise among the Saxons. The continental German equivalent is weissagan, meaning wise-saying. One’s power of persuasion was seen as a gift of wisdom. The Anglo-Saxon word haegtesse refers to a hedge witch, the seeress and soothsayer skilled in healing lore. Medicine and magic have strong connections in Saxon England before and after the introduction of Christianity. Many charms contained in leech books from the Middle Ages reveal a dual faith practice. In rural communities there were few recognized doctors, and parish priests turned a blind eye to the white witch unless political pressure demanded otherwise. Even during the Inquisition, documented trials rarely listed the white (healing) witch among those sentenced and condemned. It was more common for a charlatan or an unpopular neighbor to be accused of black magik (cursing). During the 6th century CE, Angles, Saxons, Frisians, and Jutes transformed Gallo-Roman Britain into a new Angle land. Romanized Celtic monarchs and their warrior elite were driven into Wales, Cornwall, and Brittany. What peasants remained were destroyed or absorbed by the new Teutonic inhabitants. It needs to be stressed that Gallo-Roman and Romano-British cultures were already hybrid societies with strong Christian elements, Latin being the educational language. By this time, paganism had degenerated into a folk tradition. An example of a synthesis between paganism, specifically Druidism, and Christian influences is the Culdee Church in the British Isles. Roman Britain fell totally to the Teutonic invasion. Christian churches were forced to abandon British soil between 570 and 597 CE. When missionaries returned, they found a Germanic-speaking country whose kings traced their ancestry to divine beings from a new heathen religion. All forms of Roman organization and the Latin language had disappeared from the areas settled by the Anglo-Saxons. Language history and placename evidence of the goddess Frig and the gods Woden, Thunor, and Tiwaz suggest the Old English saturated the area. In the district of Schleswig-Holstein in north Germany, part of the Saxon homelands, there is a sizable gap in settlement continuity, supporting the theory of large migrations. The Saxons, and later the Scandinavians who also settled thickly in the British Isles during the Viking Age, worked the land as farmers. Many English placenames have the root leah or grove; heath, a hilltop sanctuary; and ealh, meaning temple, indicating that a new pagan religion was dominant in the British Isles before Christianity and after the Roman British pagans. Now that we have provided a background of historical events, let us look at the new Germanic heathenism. Woden was a popular god to the English people, and the majority of kings traced their lineage to him and Mother Earth. They were the Alfader and Eorthe Moder. Old Wode was a god of wisdom, magic, poetic inspiration and the Wild Hunt of the Dead, which was also believed to be led by various female beings. Dual faith prayers exist, such as the Merseburg and Nine Herbs charms. Old superstitions, such as the making of oaths on the Odin Stone in the Orkney Islands, survived the new faith of Christianity. An image of Woden with his ravens, Thought and Memory, is in the cathedral at Great Canfield, Essex. Until the 18th century, Woden was still seen as an apparition in Northumbria. The image of Wode with a wide-brimmed hat and dark cloak wandering the countryside astounding those who met him with his wisdom may have lent to the belief of the “man in black,” the enigmatic male figure from the Witches’ sabbat. Central to the myths of Woden/Odin is his sacrifice on the World Tree to acquire the runes which held the knowledge of the universe. Woden, it is believed, learned the magic art of seidr or trance magic from the goddess Freya. Women were believed to possess the power of prophecy and retained an element of holiness that led some to attain a status of being semi-divine. Some priests even dressed as woman to connect with that most ancient of powers. Seidr was shunned by the warrior elite themselves, although they took council from those who practiced it. Odin’s involvement in seidr sets him apart from the warrior mainstream. Frigga had the power of foreknowledge and was considered the Queen of Heaven; Friday is named after her. She was connected with the weather, fertility, marriage, and domestic concerns. Sometimes she is equated with Mother Earth, or Erda. From the 13th century there is a mural of Frigga riding a distaff and Freya riding in a cart in the Schlewig Cathedral in Schlewig-Holstein Germany—provocative images for a Christian holy place. Freya, her name meaning Lady, is a deity of the Vanir. She had strong ties to witchcraft in the northern countries during early Christianity. Often she is paired with Woden/Odin in Germanic tales. Many scholars see her as an aspect of Frigga. As the receiver of half the chosen slain, she is connected with the Underworld. Chthonic qualities are common among nature goddesses. She is the patroness of love and magic and is empowered with the ability to shapeshift. Her magic was an art called upon by the Scandinavian volva. The volva, or Nordic witches, were venerated in their communities for their oracular feats, yet also feared, for they communed with the powers of life and death. These wise women practiced their soothsaying at night, visiting houses and giving domestic advice for which they received food or gifts. The traditions and occupation of the holy women and men have strong similarities in the different Germanic countries. Worship of the Disir or locality goddesses took place in smaller rituals like those of the Aesir gods. Disblot or sacrifices were offered with prayers for their blessings. Related to the Disir are the Fylgia or Following Ones, beings who were seen as female guardian spirits to humans. Both sets of supernatural women point to the belief in the white ladies of folk tradition. Holda, Huldra, Frau Holle, Berta, and Frau Gode were all names for the White Lady. As well as being linked with the natural forces of seasonal weather, the white ladies were guardians of children and women. Huldra, the mother of the elves, protected cattle in rural continental Germany. Holda and Berta are imaged riding a cart and are similar to the earlier goddess Nerthus, or Mother Earth, worshipped by the ancestors of the Saxons and Jutes as reported by Tacitus in the 2nd century. The lineage seems to follow from pagan religion to folk tradition yet the deity in a wagon persisted in the countryside, demoted but still revered. These female figures also led a phantom troop of followers whose spirits joined in their sleep to dance and change shape. The cult of the Mothers was imported from the Rhineland into Britain during the Gallo-Roman era by Germanic warriors serving as mercenaries along with Gaulish cavalry units in the Roman army. Soldiers tended to honor the Mother. Most of the dedications and images of the Matrones are found in military zones. Seated in groups of three, the mothers bear emblems of fruitfulness and were also associated with protection. Both the Teutons and Celts worshipped these divine women. Please bear in mind that the triple image of the Matres does not represent one goddess but three separate deities. Significant to the beliefs of the dual faith period that shaped witchcraft was the veneration of the alf or elves. These beings are not the gossamer-winged women of literary fantasies or little men with pointed caps, but a type of goddess and god with strong ties to nature and the cult of the ancestor. The elves were linked to natural features of the land and water. Burial mounds are also an important part of observances made to the alf folk. In Icelandic and Scandinavian sagas dead ancestors receive the title of alf. Do the dead live with the elves or become them? Or do the two aspects of Northern religion concerned merely overlap? It is interesting to note that the word alf means alive. Elves were and still are connected with the cult of the Vanir, bringing protection, inspiration, and fertility. People turned to the elves for the practical needs of everyday life. Alfblot or offerings were used to maintain a favorable relationship between the human and divine realms. In England, Winters Night and Mothers Night, which correspond to Hallowmass and Yuletide, were auspicious occasions requiring a sacrifice to appease the alf, Disir, and mothers. In more than one circumstance witches in the high Middle Ages and the Burning Times were said to receive their magik from the elves; only within the past two hundred years did the barrows and hallow places of the alf folk lose their influence over the country folk who worked with such spiritual orders. The age of enlightenment and industrial revolution have more to do with the decline of belief in witches and nature spirits than the Inquisition, although over a span of three hundred years it had claimed something less than 60,000 victims. In England the wise woman and cunning man were solitary practitioners of a spiritual profession rather than a priesthood of a pagan enclave. People from the countryside went to them for healing and knowledge that required psychic intuition. The cunning folk who were white witches also countered the dangerous spells of black magicians. These blessing witches, repositories of natural and local lore, were known and usually trusted by their neighbors. In the 19th century the white witch practiced freely without much harassment by authorities despite the laws against witchcraft. One of the last of such cunning men was George Pickingill of Canewdon, Essex, who died in 1909. The Germanic people left us all with a proud heritage and there is more to be learned of their customs in order for us to embrace our legacy. Ellis-Davidson, H.R. Gods and Myths of Northern Europe. Penguin Books, 1964. —-. The Lost Beliefs of Northern Europe. Routledge, 1993. —-. Myths and Symbols in Pagan Europe. Syracuse Univ. Press, 1988. Funk & Wagnalls Standard College Dictionary. 1963. Gueber, H.A. Myths of the Norsemen. Dover Press, 1992. Hole, Christina. Witchcraft in England. London, 1947. Hutton, Ronald. The Pagan Religions of the Ancient British Isles. Blackwell, 1991. Jones, Prudence and Nigel Pennick. A History of Pagan Europe. Routledge, 1995. Kauffmann, Friedrich. Northern Mythology. London, 1903. Metzner, Ralph. The Well of Remembrance. Shambala, 1994. Russell, Jeffrey Burton. Witchcraft in the Middle Ages. Cornell Univ. Press, 1972.